WaterField Designs is a company based in San Francisco, that makes high quality covers, sleeves, bags and pouches to carry and protect a number of electronic devices. All you have to do is visit their site at www.sfbags.com and you will soon see what I mean. I've been impressed in the build quality of their products in the past, and this time is no exception. 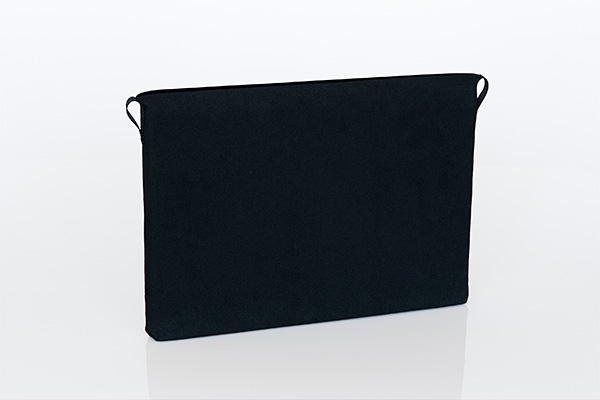 The product above is the new sleeve for the latest versions of the MacBook Air, available in sized to protect your 11-inch or 13-inch MacBook Air, priced at $25.00 USD and $29.00 USD respectively. 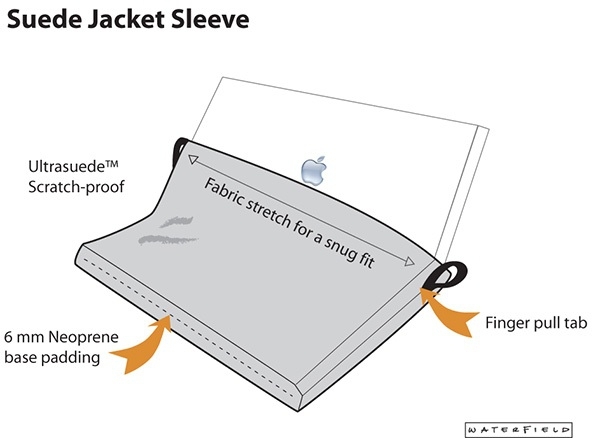 The sleeve is actually called the Suede Jacket Sleeve, and is made of a material they call "Ultrasuede®." Figure 1: How it all works. The sleeve itself is surprisingly thin, and as with all products from WaterField, well crafted and made in the USA. It has two finger loops, one on either side, that assist you in slipping the sleeve over your beloved MacBook Air. While it does fit snugly, I had no problem putting it on or taking it off of my laptop. The finger loops do their job and they are sewed on securely with what appears to be a triple stitch pattern, so I don't think you will have a problem with these loops coming off. They have also placed a thin layer of neoprene in the bottom of the sleeve to provide some protection in case it is dropped, or just bounced around. Now while this won't protect it completely, the addition of this bit of extra protection is one of the reasons I like WaterField Designs: they pay attention to details. The thinness of the sleeve itself, while not offering superior protection against damage from the side from banging it into a corner of a desk, does offer protection from scratches that could occur when moving your laptop around, or when it's inside your bag. And speaking of bags, the thinness of the sleeve is definitely a plus as it allows you to put your sleeve covered laptop in pretty much any bag you might own and not have to worry the sleeve will make it too bulky. 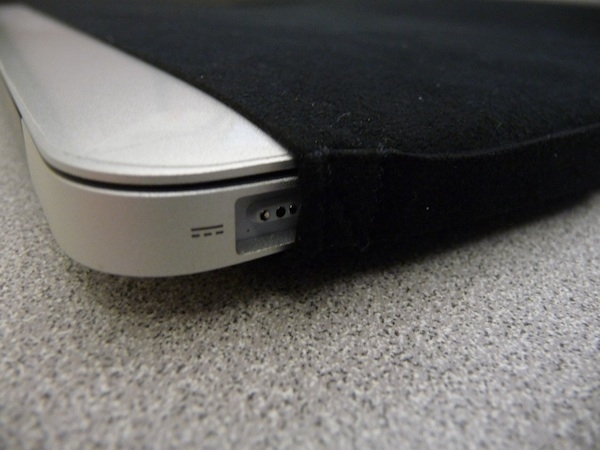 Figure 2: The MacBook Air just before securing it inside the Suede Sleeve from WaterField Designs. All in all, the Suede Jacket is a nice product, perfectly designed and well constructed, which is exactly what I expect from WaterField Designs. If you are looking for a jacket to protect the finish of your MacBook Air, be it the 11-inch or the 13-inch, I think you would do well to check out what WaterField Designs has to offer. And if you need one of these for your MacBook Air, reply to this Quick Look and we will have a drawing for the review sleeve. This sleeve fits the new version 13-inch MacBook Air (it also fits the older MacBook Airs but it certainly was designed with the new ones in mind), and the contest will run until two weeks from today, on January 21st at noon Pacific Time. I'll do a random drawing at that time to determine the winner. If you are new to the forums, don't forget it can take up to 72 hours for your posts to appear. One entry per person and I will ship this ANYWHERE (at least anywhere on planet Earth), and notifications will be done via PM in the forums so make sure your notifications are set so you get email alerts to new messages. The winner will have 72 hours to reply or another name will be drawn. Good luck and thanks again to WaterField Designs! Jeff Campbell is a fan of all things Apple, an X-boxer (the 360 kind) and geek. He works as a floor supervisor in a 911 center in the Portland, OR area, and lives in a small town just north of Mt. Hood with his daughter, two dogs, a snake and a three legged cat named "Tres."